Every "Feathered Friends Artwork" has a message for you. When we are full of emotions, just waddle away, for now. The place is called MotherDuck and the owner in the kitchen I felt was just like this MotherDuck. 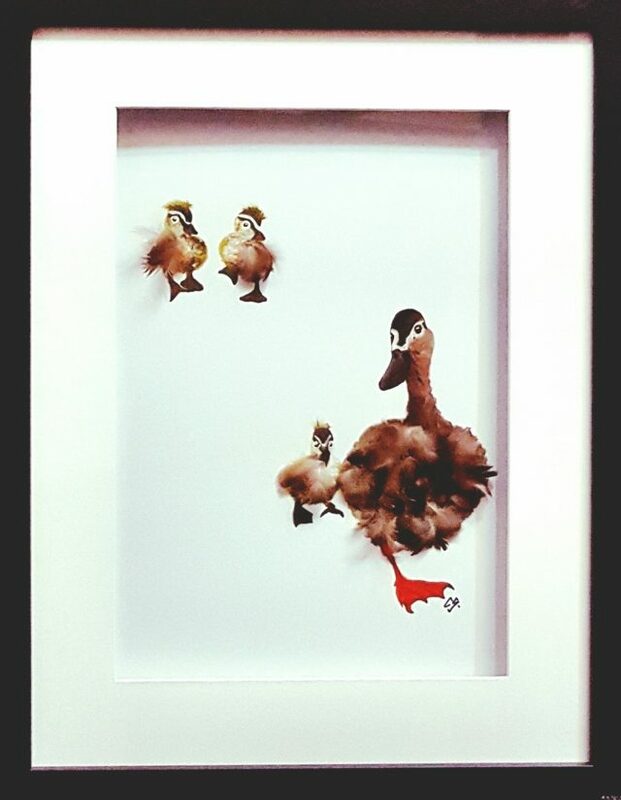 Mother Duck Knows Best by Christine Sinclair is available Framed for $380. or Unframed for $300. 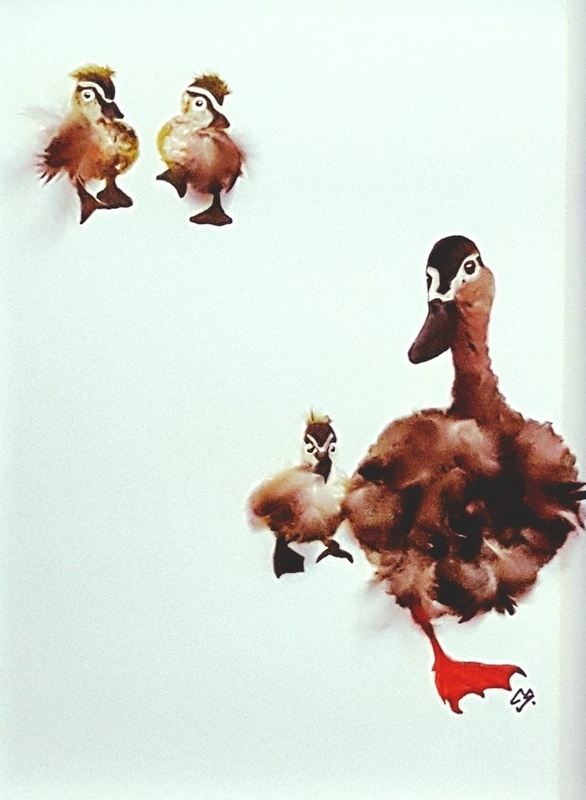 To purchase Mother Duck Knows Best please complete the form below, specify if your purchase is for Framed or Unframed and press Send.